The Nesco SC-150-13 is a 1.5-Quart Slow Cooker. This cooker is perfect for foods requiring long, slow simmering such as soups and stews. It features a stylish metallic body with stay cool handle and knob. The handles on the crock make it convenient to lift and carry, even when wearing oven mitts. Thermostatically controlled heating with High/Low and Auto (to keep warm) settings for cooking or re-heating. The clear tempered glass lid and ceramic crock are both dishwasher safe. 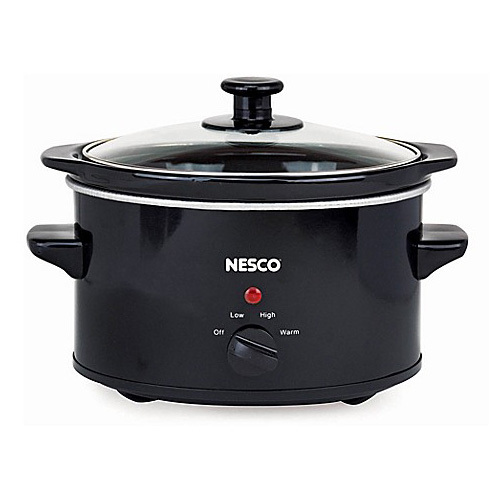 The Nesco Slow Cooker 1.5 Quarts Black has many exciting features for users of all types. 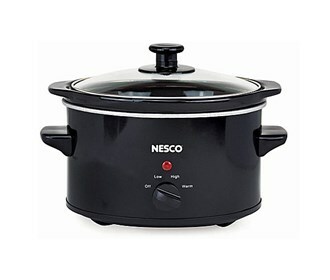 The Nesco Slow Cooker 1.5 Quarts Black is sold as a Brand New Unopened Item.